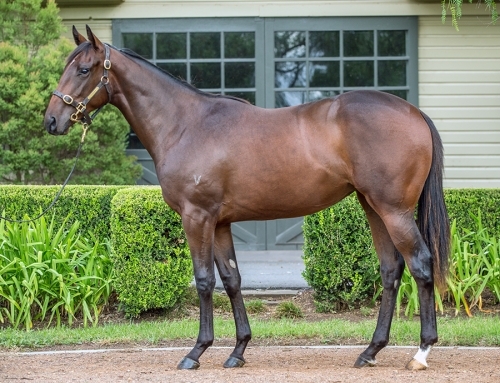 Damion Flower was an under-bidder for champion filly Atlantic Jewel when she sold as a yearling so he wasn’t about the miss out when her close relation was offered by Vinery Stud on Friday. 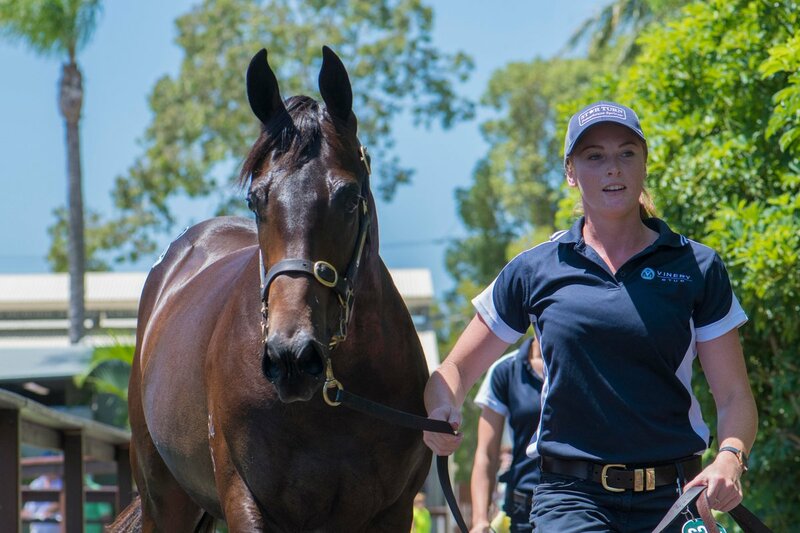 Catalogued as Lot 624 on Day 3 of the Gold Coast Magic Millions Sale, the I Am Invincible – Commanding Jewel yearling colt was the focus of frenzied interest around the sale-ring before Flower had the final say at $1.45 million. 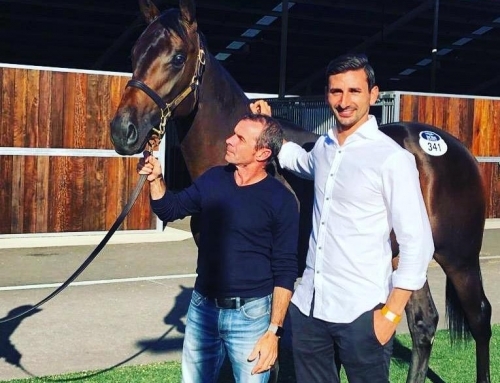 “He’s a belter and looks a serious colt,” Flower said shortly after signing the sale sheet alongside Hawkesbury trainer Brad Widdup. 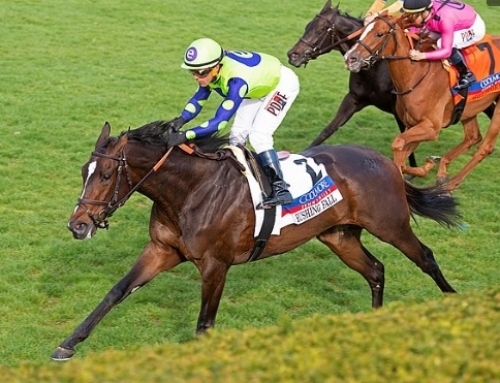 “He’s a real athlete with a proper attitude and I rated him among the best colts of the Sale. 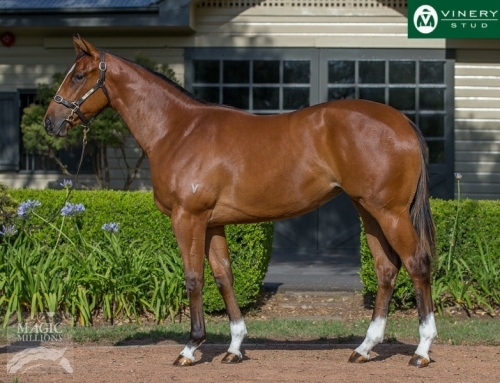 The millionaire colt is the first foal of Commanding Jewel who is owned by Vinery partner Greg Perry. She is a half-sister to Atlantic Jewel and foaled a More Than Ready filly in September before being bred back to I Am Invincible. 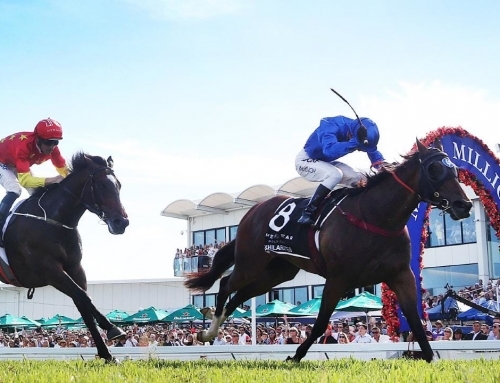 Vinery sold Atlantic Jewel for $320,000 at the 2010 Gold Coast Magic Millions when Flower and several other potential buyers were forced to play second fiddle to Coolmore Stud. 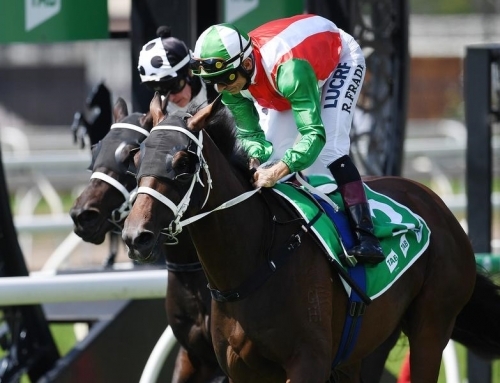 She had also captured a Thousand Guineas and graduated to weight-for-age wins at the elite level in the All-Aged Stakes, Memsie Stakes and Caulfield Stakes. 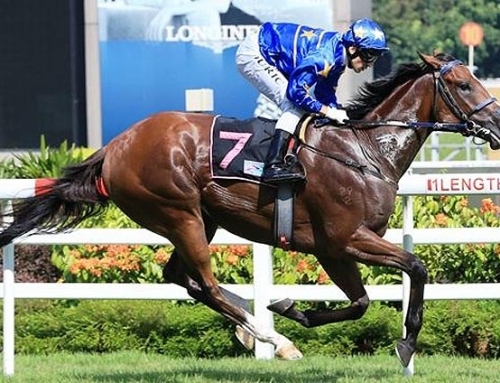 Atlantic Jewel was Australia’s undisputed Champion 3YO Filly and Older Mare and connections were devastated when a career-ending tendon injury ruled her out of the 2013 Cox Plate. Coolmore transferred the Fastnet Rock mare to Ireland where she visited Galileo first-up in 2014. The result of that cover is 3yo colt Empireofthedragon who holds a nomination for the 2018 English Derby. 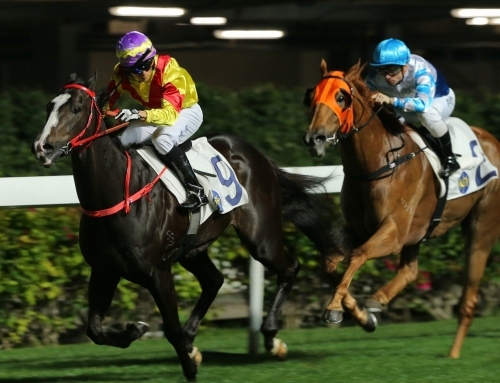 Widdup also prepares last-start Canterbury winner Za Zi Ba for Flower and a syndicate that includes Max Whitby, Bruce Mathieson and Rick Smith. She is by Vinery sire All Too Hard from a More Than Ready half-sister to Snitzel.